The violent and homophobic attack against Empire actor and LGBTQ activist Jussie Smollett made national headlines, stunning people with its rawness and brutality this week. The news generated a wave of support for Smollett, who was beaten by two men early Tuesday morning in Chicago. 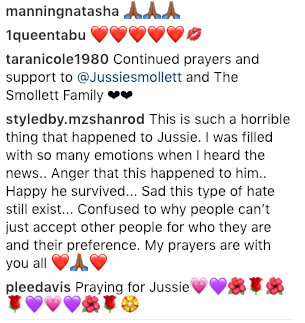 Smollett released his first public statement via Essence. He is recovering after what is being investigated as a hate crime. Smollett told police he was attacked after leaving a Subway restaurant by two men in ski-masks who declared Smollett was in "MAGA Country"––a reference to President Donald Trump's Make America Great Again slogan––hurled racial and homophobic slurs, "poured an unknown liquid" on him and put a noose around his neck. "Let me start by saying that I'm OK," Smollett said. "As my family stated, these types of cowardly attacks are happening to my sisters, brothers and non-gender conforming siblings daily. I am not and should not be looked upon as an isolated incident." "We will talk soon and I will address all details of this horrific incident, but I need a moment to process. Most importantly, during times of trauma, grief and pain, there is still a responsibility to lead with love. It's all I know. And that can't be kicked out of me." 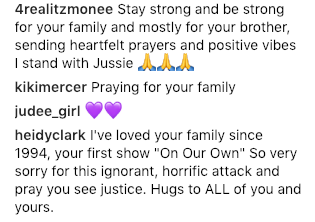 "With Love, respect & honor…Jussie." "Our family thanks everyone for their prayers and the huge amount of love he has received. We are thankful to our village for your immense support during this trying time." "We are so grateful that God saw him through this cowardly attack alive. 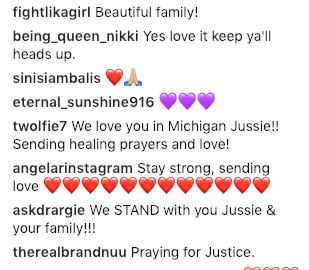 Jussie is a warrior whose light cannot be dimmed." Support poured in from around the nation. 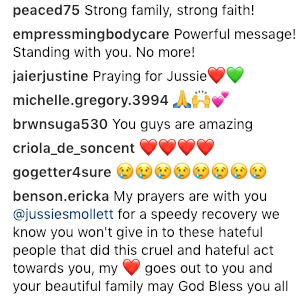 We wish Smollett a speedy recovery. He has indicated he will still perform solo at the Troubadour in Los Angeles tomorrow evening.